Do Children Need a Passport to Visit Canada? Canada is an extremely family-friendly country, and many families with small children cross the border on vacation every year. 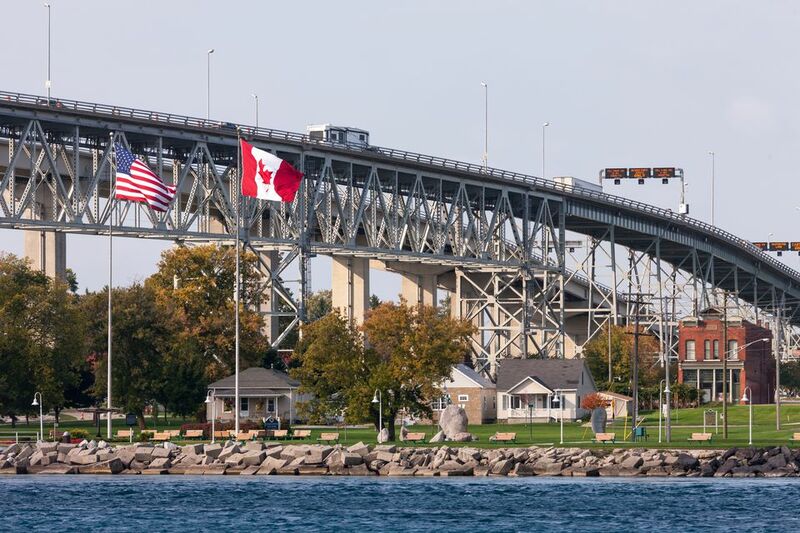 To make it easier, U.S. and Canadian citizens ages 15 or younger with parental consent are allowed to cross the borders at land and sea entry points with certified copies of their birth certificates rather than passports. Visitors of all ages arriving in Canada by air require a passport or passport equivalent, such as a NEXUS card. Note that anyone who has a NEXUS card or is considering applying for one can apply for NEXUS cards for his or her own children at no cost. U.S. and Canadian citizens ages 16 through 18 traveling between the U.S. and Canada with school, religious, cultural or athletic groups and under adult supervision will also be allowed to travel with only proof of citizenship, such as a birth certificate. Children may require additional travel documents when visiting Canada. For example, if one parent is traveling to Canada with children but not the other parent, a signed document giving travel permission may be necessary. Divorced parents who share custody of their children should also carry the legal documents for their kids as well as contact information for the other parent. Other helpful documents include birth certificates, baptismal certificates, and immigration papers, if applicable. Border guards are especially diligent in keeping an eye out for unlawful border crossings involving children due to concerns about human trafficking. They may question you about children who come with you to Canada or question a child who travels alone. Visitors of all other nationalities, of all ages, need a valid passport to enter Canada by land, sea, and air. If you need a passport to be rushed, there are steps you can take to expedite the passport. Whether it's a life-or-death emergency or not, you can get a passport quickly and you will need to go to a passport office in person rather than mailing in your application documents. It's not necessary to use a passport expediting service, which charges a fee, to rush passport applications unless you're not capable of going to a passport office yourself. It's important not to wait to get the necessary documents. As security increases, it is helpful to have a passport or passport equivalent, like a NEXUS Card, for your child now. The trend for essential travel documents, even between friendly, neighboring countries like Canada, the U.S., and Mexico, is toward increased security and standardization. A passport—or passport equivalent—is becoming a necessity. Some people have FAST cards or Enhanced Driver's Licenses, but children are not allowed to carry such documents due to their age. However, children can get U.S. Passport Cards, which are another alternative to a traditional passport. Consult the U.S. Department of State or Canadian Border Services Agency (CBSA). Cruise ships, train lines, and bus companies will all have up-to-date information on passport requirements as well.